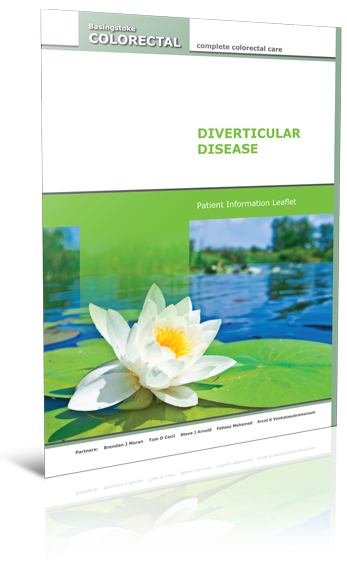 Diverticular disease is a common condition in the Western world; it is 40 times more common in the West than in developing countries. It is associated with lack of fibre in the diet and more frequently occurs as we get older. Ten percent of people aged 40 will have some evidence of diverticulosis and this rises to up to half of people by the age of 65 years of age; this percentage increases with age. Many people with diverticulosis will have no symptoms at all. Some people will develop symptoms which include alterations in bowel habit, leading to constipation and or diarrhoea. Abdominal pain can sometimes be present. Diagnosis is often confirmed by a colonoscopy.